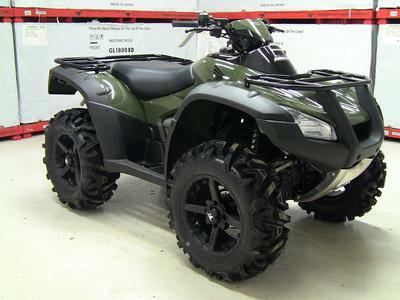 The 2013 HONDA RINCON 4X4 for Sale is a nice, green 2013 HONDA RINCON TRX680FA that is priced LOW to sell FAST! whether you are planning to use the quad for fun or for work; I believe that it will serve you beautifully. GoGoCycles encourages our visitors to take some time to write a review of the 2013 HONDA RINCON 4X4 for Sale to make the biker community aware of any problems that are common to this motorcycle or to highlight its positive features and help potential buyers make informed decisions. It's located in Southern IL Illinois and this unit is priced to sell at invoice! To get more information and photos of the used Honda ATV for sale, please call (no e-mail) me at 217/857-31three5 (and don't forget to mention that you found this ad on GoGoCycles Used Honda ATV for Sale gogocycles.com) and don't forget to mention that you found this ad on GoGoCycle's Used Motorcycles and Parts for Sale www.gogocycles.com when you call.